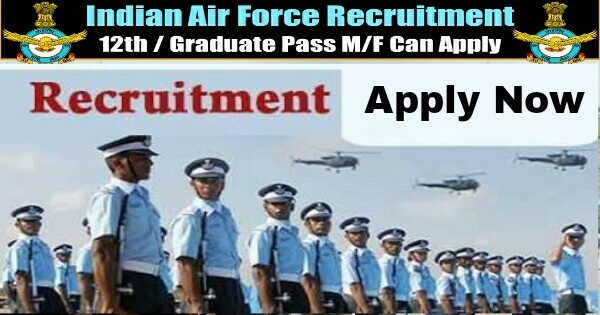 Indian Air Force Recruitment 2017 | TGT/ PGT/ Assistant Post | 12th,Graduate Pass: Indian Air Force Recruitment – Air Force Senior Secondary School published Recruitment notification for the post of TGT, PGT, Assistant Vacancies. More information please read below mention officially notifications carefully. No of Vacancies : 07 Vacancies. 7. Lab Assistant – 01 posts. Job Location : All Over India. Educational Qualification :- 12th, Graduation Degree or its equivalent qualification from a recognized Board/University. Age Limit :- Minimum age require as 18 years. How To Apply :- Download application Form through official website http://racecourseschools.in. After Filling The application form, candidate must send hard copy of application along with relevant testimonials (Mentioned In Detailed Advertisement) to the following Address before or on Within 21 Days. Address :- Air Force Senior Secondary School, Old Willingtone Camp, Race Course New Delhi.